Jonah Hill and Channing Tatum are back together in 22 Jump Street. This time around, Schmidt and Jenko head off to college to stop a new drug - Whyphy - from hitting the streets. The dynamic duo's bromance is tested when Jenko finds a new friendship with the football team's star quarterback (Wyatt Russell). The film has a lot of laughs, with possibly the funniest end credits of any comedy. Directors/screenwriters Chris Miller and Phil Lord join their two leading men to discuss their incredible recent success. Along with 22 Jump Street, the directing pair were also responsible for The Lego Movie and Cloudy with a Chance of Meatballs 2. 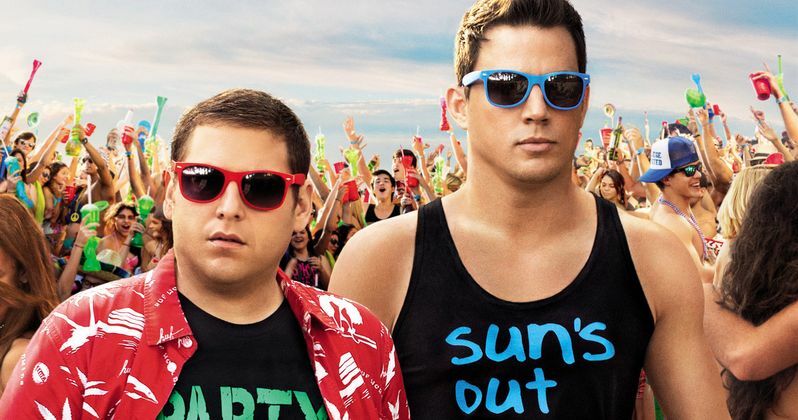 Check out our interviews below with the stars and filmmakers of 22 Jump Street!